Why pay for music, road trips, and food when you don't have to? Everybody loves getting something free. There's a certain excitement to knowing you had to do little (or no) work to receive free samples, books, or music. But you might be wondering how to get free things all the time. Our freebie deals are a great place to start, and tend to be some of the most popular on the site. They include everything from tasty treats to beauty products to epic birthday freebies. And if you're affiliated with military, you can score military discounts and freebies, too. To help you find even more awesome deals at no charge, we've rounded up 17 things you can always get for free. A reminder: Freebies tend to come with a catch. They might not be exactly what you want, or they might require giving up some personal information in order to redeem the offer. If you're an Amazon Prime member, you're in luck. Prime members have access to over 2 million songs on Prime Music, and can listen to individual songs and whole albums. To include these tracks in your library, sign in to your account from the link we provided, and look for songs and albums featuring a button with a plus sign — the button could also be followed by "add." Amazon Prime members have access to over 2 million songs on Prime Music. Not a Prime member? We also see a variety of music and MP3 download deals, including deeply discounted memberships to premium streaming services. If you don't want to pay anything and don't mind ads, of course you can always streaming services for free, such as Spotify and Pandora. And bands themselves have been known to release their music through select outlets for free. A free trial is a good way to test a service before you go all in. With the recent Amazon Prime price increase, snagging a free month is even more appealing now. Beyond the free 30-day Prime trial, Amazon has been known to extend a customer's Prime subscription by an extra month. This is typically given as compensation for packages arriving late or similar circumstances. Members must speak to customer service to receive this perk. Be careful, though — Amazon has grown wise to some members abusing this benefit. It seems to be handing out free months less readily now, and it's even been accused of canceling the subscriptions of customers who ask about the perk too much. Keep that in mind when your order shows up a day late — the risk might not be worth the potential reward. Free apps are widely available, whether you prefer iOS or Android. Check the respective app stores, and you'll find plenty of games and productivity titles to try. While using totally free apps can mean dealing with annoying ads, developers sometimes temporarily offer the premium versions for free. Plenty of discounted magazine subscriptions are available, but you can find free issues as well! Google Play offers a small selection of titles for free for Android users, while Amazon offers free issues every month with Prime Reading. You can also get a free month of Kindle Magazines. After that, you can cancel, or pay for a subscription and have selected titles delivered to your Kindle. Clearly, the easiest place to get free books is your local library. If you prefer eBooks, odds are you can check out titles without leaving your home. Many libraries offer apps for checking out eBooks or audiobooks, and you can use them as long as you're a member. Many libraries offer apps for checking out eBooks or audiobooks. We also often list deals for free eBooks here on DealNews. You can also download free book apps for iOS or Android. Project Gutenberg is another website where you can snag free eBooks — it's especially great for the classics, as it contains public domain titles. And don't forget about Prime memberships! Prime Reading features a variety of popular titles you can read, too. If you prefer the physical feel of a book, there are a couple of ways to add free paperbacks to your personal library. Do you have titles you're willing to part with? Sites like PaperBackSwap and BookMooch are good ways to trade your titles with fellow bookworms. The library is good for more than just books. While you're there browsing the latest best sellers, swing by the movie section. Additionally, Prime members have access to a ton of content, including movies, TV shows, and Prime Originals. Free screenings are a possibility, too, as larger studios will try to drum up hype for a film by showing it early for free. Don't discount family-friendly events, either. During the summer, many cities schedule movies in the park or other public spaces on a weekly basis. If you're interested in seeing the country but don't want to put high mileage on your own vehicle or rent a car, there are actually people who will trust you to drive their car for them. Sites like Auto Driveaway provide a great place to start. People who are moving long distances and don't want to haul or drive their own vehicles need others to do it for them. That's where you — and Auto Driveaway — come in! Once you arrive at your destination, you can do it all again and drive a car back, or you can opt for a cheap flight home. If you have the time, this can be a great way to take a vacation and see the open road. First off, you can't be picky with free photo prints. The offers are usually restrictive when it comes to photo sizes or the number of prints you'll get. Even so, photo freebies can be a common find. In the past, we've seen deals from Vistaprint, Snapfish, Walgreens, CVS, and Shutterfly. Additionally, York Photo offers as many as 100 free prints for new customers. We've seen photo freebie deals from Vistaprint, Snapfish, Walgreens, CVS, and Shutterfly. 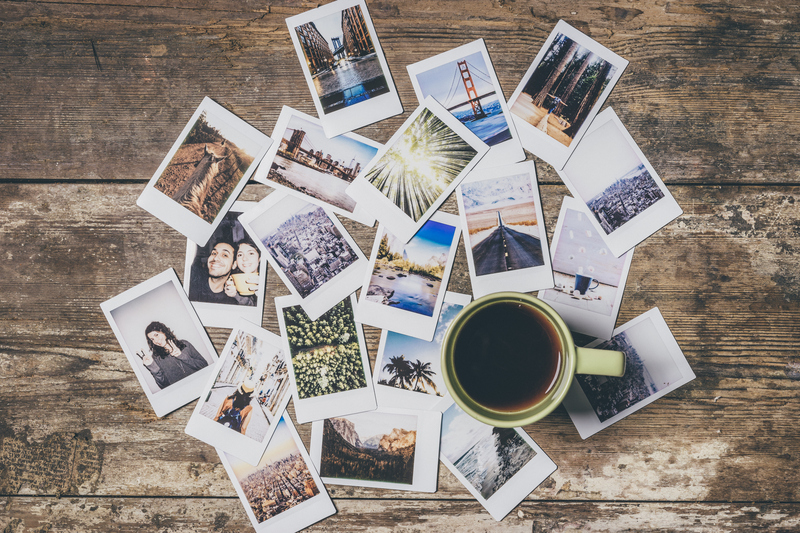 There are even free photo print apps for both iOS and Android, which let users order up to 1,000 free 4x6 prints per year. Keep in mind that while the prints may be free, a small shipping charge is usually added to deals like these. Many restaurants offer free kids meals with the purchase of one or two adult entrees, which can make dining out with the family more affordable. However, these promotions can be restricted to certain nights or other times of the week. Consider checking out a site like MyKidsEatFree.com to find participating restaurants in your area. But be aware that certain listings on the site are outdated. If you see an interesting offer, call ahead to ensure the details are correct. Not a fan of kids? This site can also be a useful tool for deciding when not to go to a restaurant, if you're looking to avoid rowdy children at dinnertime. Did you know May 15 is National Chocolate Chip Day? Or that the first Friday in June is National Donut Day? Food holidays are so ubiquitous that at this point, there's one practically every day. This often translates to restaurants offering freebies to celebrate. Not every holiday yields a deal, but popular ones give you the chance to snag tasty treats for free. SEE ALSO: The 106 Best Birthday Freebies in 2018: Get Free Stuff Just for Showing Up! Your friends might be planning to treat you to dinner, drinks, or your favorite activity on your birthday. But you can also treat yourself, thanks to the multitude of businesses offering free stuff on your birthday. Our best tip is to look at our master list of birthday freebies and then plan to take advantage of as many offers as possible. If you have time before your next trip, or just want to stock up on minis, you should check out our freebies page. We see offers on a variety of health and beauty samples that are perfect for travel. Target and Walmart can also be good places to check for free mini products. Big brands commonly offer free samples to promote their new products. Alternatively, you can keep an eye on your favorite brands to see if they're offering any free samples. Often, big brands do this to promote new products. Sites like SweetFreeStuff can make these searches easier, as they update offers frequently. Many of these promotions take four to eight weeks to arrive, though, so consider seeking out samples at drugstore counters and stores such as Sephora if you need them sooner. Free shipping is so common that many shoppers expect it now. But not all retailers offer the perk — and when they do, there's often a minimum purchase requirement. If your favorite business is running a special deal, you might not be able to wait around for them to tack on free shipping. However, it can pay to wait for a discount. Popular vendors commonly offer shipping promotions around holidays. This is something you may not think of until it's time to pack up your belongings. In a panic, those pristine boxes at U-Haul might seem like your only option. You don't have to spring for those expensive boxes, though. Craigslist and Freecycle can both be sources of free boxes, as can your own company or schools. Additionally, check with grocery, liquor, and bookstores to see if they have spare boxes they're willing to give up. Babies can sometimes react badly to diapers, wipes, and skin products. Trying a small amount for free is a wonderful way to ensure an item works for your baby before you buy in bulk. Companies like The Honest Company provide free trials of diapers-and-wipes subscription boxes. And Walmart routinely offers a free baby welcome box. We've also seen plenty of offers for formula samples or even diapers for those willing to fill out a short form. If you or someone you know is having trouble affording diapers, the National Diaper Bank Network is a good place to find help. You can check for resources in your area, including viewing member organizations by state. As we've pointed out before, there are plenty of places to check your credit score and report for free. These are important financial features to keep an eye on, as applying for a loan or credit card will likely require a pull of your credit report. Plus, these checks are a good way to watch for identity theft and ensure no one is opening accounts in your name. People often dispose of items that are still in great working order, simply because they want something new. If you don't mind used, look to Craigslist and Freecycle to find free goods. Many people don't want to move items or deal with disposing of them properly, so sometimes treasures are as near as your neighbor's curb. Before you make an item your own, though, make sure it's worth it. You don't want to end up hauling away someone else's trash just because it's free. 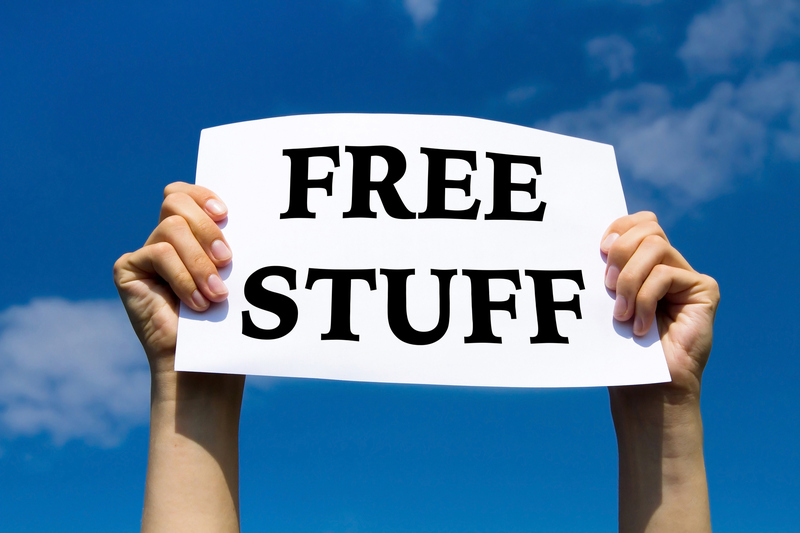 Readers, what kind of items do you regularly get for free? Let us know in the comments below. The 106 Best Birthday Freebies in 2018: Get Free Stuff Just for Showing Up! I am currently having several free things. Free books, photos, shipping, credit score, etc. Good. Saying you get free music from Amazon Prime is like saying you get free butter and syrup when you go to IHOP. They give you maple but will give you 3 additional flavors if you ask for them. The cost for free music and movies is built into the business model. Nothing on Amazon is free. Free"er" music can be found on YouTube if you can endure the commercials. Great music is in the eye of the beholder. I'm not a personal fan of any of the artists you listed so I don't count them as "great." (Not even Enya..) I do have the extra paid Unlimited service because it is cheaper than XM and so I can stream the great Jazz and Blues thats on my 256 gb iPod Classic that I can't seem to put my hands on right now. Oh yeah, The article forgot about free internet. That's at Starbucks. You're correct, Prime isn't free. (But if you assume you're just paying for shipping, then the "perks" technically are.) And the problem with Prime Music is that you have to manually search the desktop app to find most of the best content. It's a hassle, but if you want your money's worth from this Prime "freebie," I strongly suggest taking that approach. Here's a tiny sample of the great albums you can find with a little legwork: Kendrick Lamar's Pulitzer-winning "DAMN. ", Janelle Monae's "ArchAndroid", NOFX's "Punk in Drublic", Against Me! 's "Reinventing Axl Rose", Taylor Swift's "1989", Lady Gaga's "Fame Monster", A Perfect Circle's "Mer de Noms"... there's even a ton of Enya, if you're into that. The music on Amazon Prime is not free because you have to pay for Amazon Prime. Yes they have 2 million songs attached to prime but many of the songs you want to hear fall under their Unlimited plan which is an additional $8 a month. The 2 million freebies are often remakes by people you have never heard of (tribute bands) or songs you don't care to listen to. There is no such thing as a free app. You pay for apps thru sacrificing your privacy which is ultimately a bigger payment than most people realize. Please see point one about free video on Amazon. Its not free if you have to pay for Prime. Prime charges for many TV shows that Hulu includes with their package. Amazon has stuff for free one month and then charges you for the same exact content the next.